Colic can be very unsettling and upsetting to parents since symptoms present as a long period of vigorous crying that persists despite all efforts at consolation. This can leave parents feeling anxious, frustrated, confused, exhausted, guilty, and inadequate. Thankfully, there are numerous natural, safe and effective ways to help prevent and address this issue. These simple solutions and tips can help alleviate some of that parental anxiety while comforting your infant. Abdominal pain accounts for the majority of visits to pediatricians and gastroenterologists (1). Colic is the most common type of acute abdominal pain/discomfort in babies. It may start anywhere from a few days to a few weeks after birth, and persist to three to four months of age. Infants older than six months rarely experience it. Common signs and symptoms include irritability, inconsolable crying for hours, distended abdomen, knees pulled up to the chest, clenched fists, and flailing arms and legs or an arched back (2). You can also suspect colic if your baby has sudden, severe bouts of loud crying that last for several hours and end abruptly; if the crying occurs at the same time each day (typically in the evening or night); if your infant seems angry and struggles when being held; amelioration of symptoms after a bowel movement or gas; and if there doesn’t appear to be a plausible explanation for these crying outbreaks (1). It is imperative to remember that not all crying in a baby is colic (3). Be sure to rule out if your infant is in any pain and check if there are any signs of illness (i.e. ear infection can cause similar symptoms) in case immediate medical attention is necessary. If it is colic that is causing your child’s discomfort, conventional treatment is quite limited. It can have significant adverse effects and is typically disappointing, as it may not resolve symptoms (4). Dicyclomine (Bentyl) is the only medication showing evidence of effectiveness. Unfortunately, use in children younger than 6 months is not supported because of the occurrence of adverse effects. Other recommendations are Simethicone or glycerin suppositories to help your infant pass gas or feces that may be causing the discomfort (2). Many theories exist regarding the cause of colic and it’s pathology, but it still remains to be unclear (4). The most common theory is that it is due to gastrointestinal disturbance, such as gas or indigestion. Other theories suggest that it may be related to temperament and regulation disorders that may involve genetic central nervous system irritability (5). It is quite possible that colic can occur from a number of different causes. From a Chinese Medicine perspective, one cause of colic can be overfeeding therefore, one of the first and most important ways to prevent colic is to not overfeed your infant (6). According to this perspective, babies have weaker digestive systems than adults, and giving a baby too much food can overburden the stomach and intestines, causing excess gas and abdominal distention. It is also common for bottle fed infants to present with more colic for this reason (parents just want to “finish the bottle” even when the baby is full, versus self-limited breast-feeding). Also a baby may swallow air, either when feeding or during a prolonged crying spell, which is also associated with colic and increased pain in the abdomen (2). Treatment with acupuncture or acupressure is based on your infant’s presenting symptoms and can be different for each child. In general, its purpose is to relieve the food accumulation in the stomach and intestines, help alleviate any anxiety/stress, and support the infant’s weak digestive system. In a randomized, controlled, blinded clinical study published in Acupuncture Medicine, minimal intervention with acupuncture was found to be effective in reducing the duration and intensity of crying in infants with colic. The total duration of fussing and colicky crying was significantly lower in the acupuncture group than the control in both the 1st and 2nd week of treatment (7). From a naturopathic medicine point of view, food sensitivities in both a nursing mother and/or infant can contribute to colic in some cases (8). A study done on 77 patients comparing a hypoallergenic maternal diet to a regular diet found a significant reduction in distress in infants of mothers with the hypoallergenic diet compared to the regular diet (9). In a nursing mother the most common offenders are dairy, chocolate, caffeine, peppers, spicy foods, wheat, nuts, and gas-forming vegetables (i.e. cauliflower, brussels sprouts, cabbage, broccoli, eggplant) (2). A trial of elimination of the above food groups while monitoring your infant’s symptoms can indicate if certain foods are contributing to your infant’s colic. An infant’s immune system takes a number of months to develop therefore food sensitivities to either the mother’s milk, their formula, or early introduction of solid foods could potentially cause some digestive irritation (2). The most common sensitivities are found to be cow’s milk (dairy), wheat, and nuts. If your infant is bottle fed, the infant formula may be causing the problem, especially if it contains cow’s milk. Consider changing to a different formula. Hydrolyzed cow’s milk based formulas are known to be hypoallergenic and intended for infants with allergies to cow’s milk protein, colic symptoms and severe food allergies. Some common products are Alimentum by Similac and Nutramigen. Have your health care provider assist you with choosing the best formula specific for your infant’s needs. Altered intestinal microflora (bacteria found in your digestive tract) is another emerging possibility as a factor in colic (4). A recent study done on probiotic supplementation for colic showed some promising results (10). Infants with colic were given a probiotic supplement or placebo for 21 days. Daily crying and fussing times were recorded and maternal questionnaires were filled out to monitor changes in symptoms and any adverse events. Total average crying and fussing times throughout the study were significantly shorter among infants in the probiotic group compared with the infants in the placebo group. Treatment was stated to be safe with no reported adverse events. Daily, gentle abdominal massages from right to left following the direction of the large intestine to help move the food along the digestive tract (6). The direction of flow begins at the bottom, right side of the abdomen, up the right side (ascending colon), across the top (transverse colon), down the left side (descending colon), and back across the bottom to the right side again. This can be done preventatively each day but can also be done when symptoms arise. This action also reinforces the Chinese medicine outlook of colic caused by food accumulation, also referred to as stagnation. Anxiety and stress in either the mother and/or infant can be another contributing factor to colic (2). It is known that long-term effects of colic are more likely to affect the parent’s mental health rather than the child’s (4). Ensure your family is being supported by talking to other parents who have dealt with colicky babies, understanding that this is a common condition and infants will eventually grow out of it, and working with a healthcare provider to answer your questions and suggest ways to comfort your infant. Safe herbal teas can be a great way to alleviate the digestive discomfort. Common herbs given are chamomile, fennel, and lemon balm (3). You can prepare this tea by combining all these herbs together, mixing about ½ ounce of each herb in a clean dry glass jar. Using about 1 tsp of this mixture, mix in 1 cup of boiling water and steep for 10 minutes. Strain the herbs and once cooled, put the tea either in a bottle or use a medicine dropper to give the baby several teaspoons at a time. There are also great herbal tinctures, such as Children’s Herbal Compound by HerbPharm that are concentrated with specific herbs and can be easily given using the dropper. They typically come in a glycerin base, which is safe in infants and makes it palatable as well. Ensure adequate time for burping and that your baby is kept upright after being fed (2). Some babies respond well to cuddling and rocking, while others do not like to be held or swaddled in a blanket. It is important to observe what your infant responds to best (2). Do the “bicycle” with your infant. With your baby lying on the floor, gently move their legs in a slow and gentle bicycle-pedaling motion. Practicing this exercise several times a day can relieve gas and alleviate constipation if present (2). Techniques for calming infants include soothing vocalizations or singing, slow rocking, walking, and gentle vibrations (e.g., ride in a car) (2). 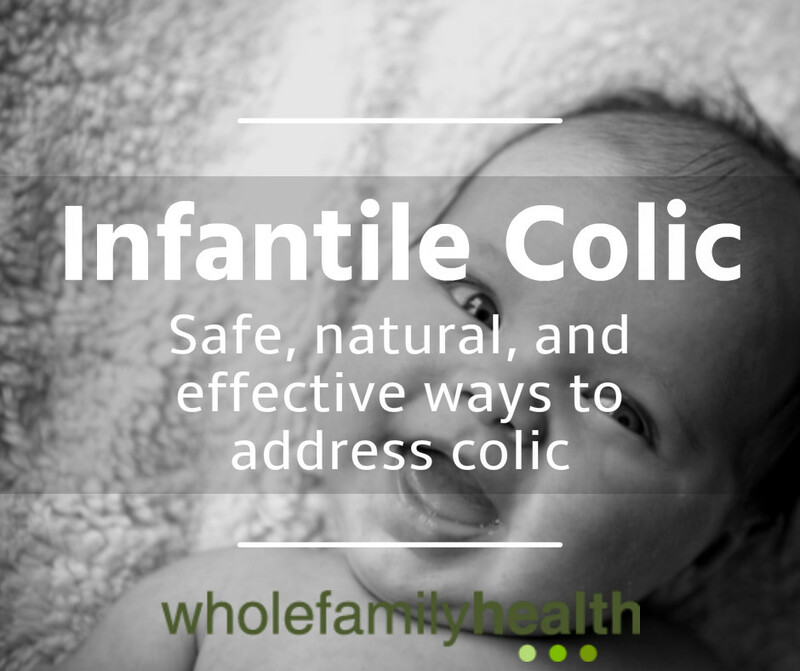 Colic can be very distressing for the family and your child but it can be manageable using some of the recommendations presented here. Understanding the possible causes of colic can help guide treatment and prevention. It is important to also acknowledge your infant’s individual needs and that they may only respond to some or a combination of remedies. A little bit of trial and error might be necessary in discovering the cause, but identifying it can alleviate your infant’s symptoms quicker and provide some ease and comfort to you as parents. One of the key concerns in dealing with a colicky baby, aside from finding ways to comfort your baby, is being confident in your ability to maintain and build a loving relationship with your newborn. Come in today to find out how we can provide you with the tools and information you need to care for the newest member of your family and maximize the health of your child! Loo, M. (2002). Pediatric Acupuncture. Philadelphia, Pennsylvania: Churchill Livingstone. Zand J, Rountree R, Walton R. (2003). Smart Medicine fro a Healthier Child 2nd Edition. New York, NY: Avery. Romm, A. (2015). Herbal Medicines for Kids. Retrieved from: http://avivaromm.com/books. (2011). First Consult: Colic. Retrieved from: https://ezproxy.ccnm.edu:2402/#!/content/medical_topic/21-s2.0-1016538. Reebye P, Stalker A. Regulation disorders of sensory processing in infants and young children. BCMJ. 2007;49(4):194-200. Flaws, B. (2006). A Handbook of TCM Pediatrics. Boulder, CO: Blue Poppy Press. Landgren K, Kvorning N, Hallstrom I. Acupuncture reduces crying in infants with infantile colic: a randomized, controlled, blind clinical study. Acupunct Med. 2010;28:174-179. Hill DJ, Hudson IL, Sheffield LJ, Shelton MJ, Menahem S, Hosking CS. 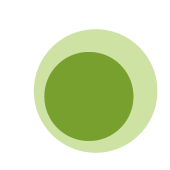 A low allergen diet is a significant intervention in infantile colic: results of a community-based study. J Allergy Clin Immunol. 1995;96:886-92. Chau K, Lau E, Greenberg S, Jacobson S, Yazdani-Brojeni P, Verma N, Koren G. Probiotics for infantile colic: a randomized, double-blind, placebo-controlled trial investigating Lactobacillus reuteri DSM 17938. J Pediatr. 2015 Jan;166(1): 74-78.